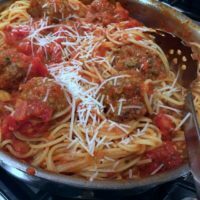 Once you make Grandma B’s Italian Meatballs and Pasta Sauce you won’t ever want to use a jarred sauce or frozen meatballs again. I think it depends on which party of Italy your grandparents are from as to whether you say pasta gravy or sauce. I guess I grew up saying both but use sauce now that I am an adult. Every now and then I reach into my family cookbook my mother gave me when I was married, and pick a recipe that I might make but don’t really follow the recipe. Today I decided to go with Grandma B’s Italian Meatballs and her pasta sauce recipe. 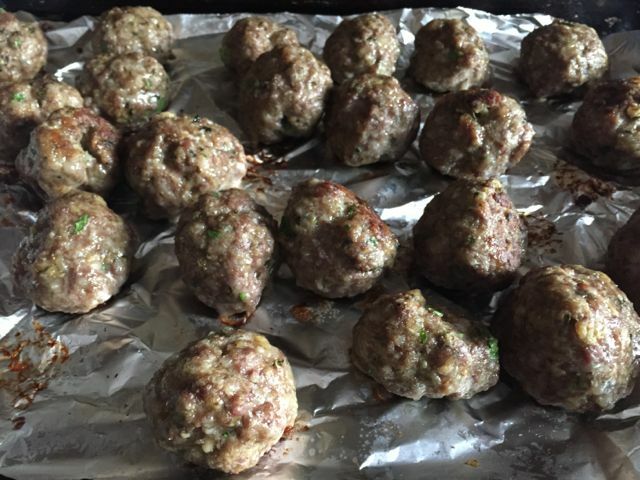 I make meatballs often but sometimes use turkey instead of pork and beef to keep calories low. My family prefers beef so I thought I would treat them with this amazing recipe and also elicit my son to help. He has to learn at some point right!! The pasta dish is all about the Italian meatballs since you will be flavoring the sauce with the meatballs. Of course my grandmother would use all sorts of different meats when she made these but I will stick with the meatballs. Make a batch of these over the weekend for the perfect Make Ahead Dinner. Make sure your meatball mixture is well blended. Since you are using 2 different meats you don’t want half to be all pork and the other all beef. 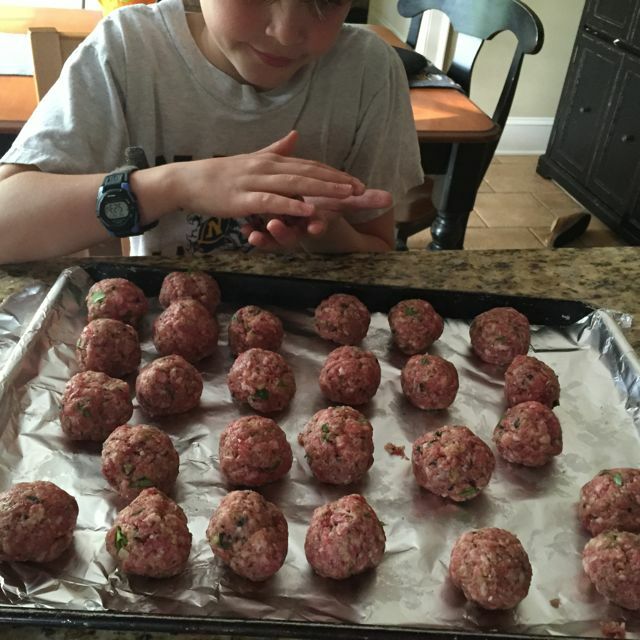 I used an ice cream scoop to form the size of the meatball then my son and I rolled them in our hands. This is the fun part right! I baked them since I made a large recipe and wanted to freeze some. You can also semi-bake them and cook them fully in the tomato sauce. Everyone makes their sauce differently and I am sure my grandmother made it a little differently than the recipe I have on hand. She never wrote anything down unless my mom sat with her to get it for a recipe card. 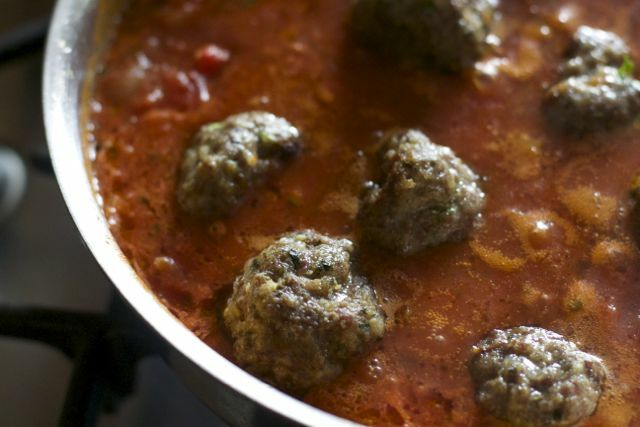 To flavor it further, we added our meatballs and let them simmer for 40 minutes. In a large pot get the water boiling and ready to throw in the pasta. 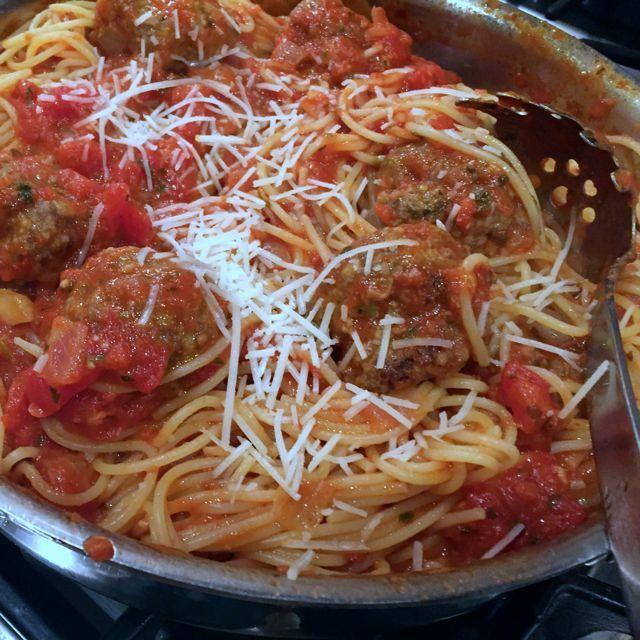 Cook al dente and cover with the sauce and meatballs. Top your creation with yummy shredded parmesan cheese and you have a taste of my Sunday Night suppers. Grandma B’s Italian Meatballs and Pasta Sauce. Combine ingredients in a bowl and work together with ;your hands until well blended. Form into meatballs. Broil in oven until slightly brown on all side. You can fry them in a little olive oil on top of a stove also, just until browned. Simmer meatballs slowly for approx 20--30 minutes in your tomato sauce. 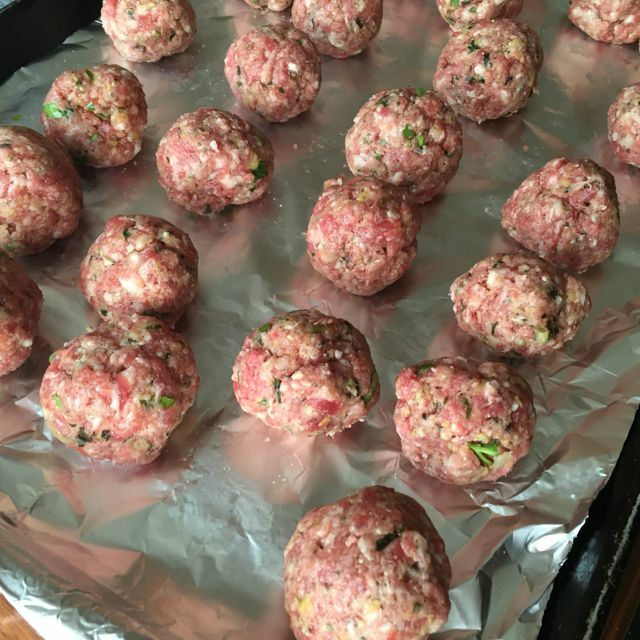 You can freeze meatballs on a cookie sheet and store in freezer bags. 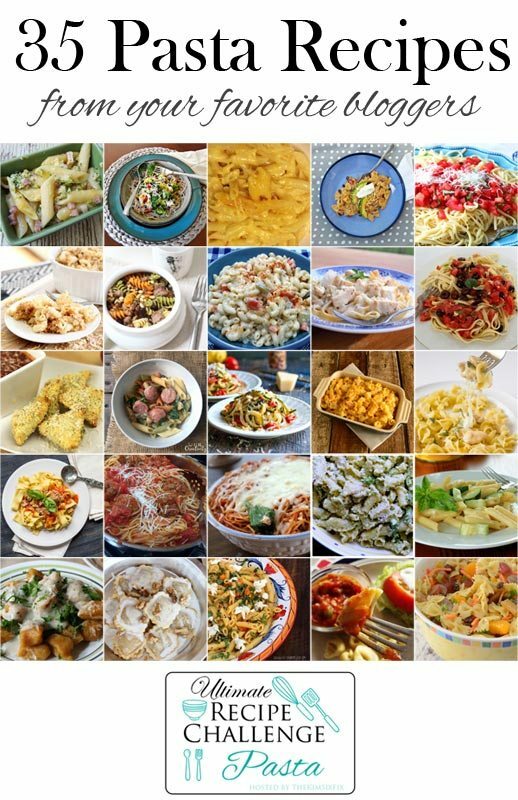 Hope you will check out some of these other bloggers pasta recipes and find a few new favorites too. coming from a true Italian!! Thanks for your tips..
thanks will fix it now!! Oh my goodness, this looks amazing! I love meatballs!